One of the most influential, innovative, and talented Native American artists of the 20th-century, T.C. Cannon embodied the activism, cultural transition and creative expression that defined America in the 1960’s and ‘70s. Cannon’s work — as an artist, poet, and aspiring musician — is deeply personal yet undeniably political, reflecting his cultural heritage, experience as a Vietnam War veteran, and the turbulent social and political period during which he worked. 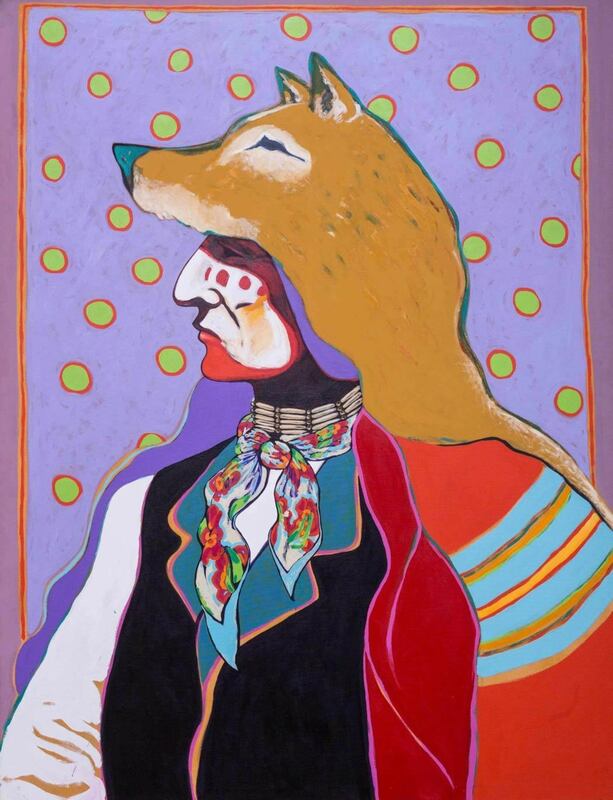 Cannon preferred bold color combinations, mash-ups between Native and non-Native elements and never shied away from the complexity and nuance of identity politics. Cannon interrogated American history and popular culture through his Native lens, and exercised a rigorous mastery of Western art historical tropes while creating an entirely fresh visual vocabulary. T.C. Cannon: At the Edge of America celebrates Cannon’s creative range and artistic legacy through nearly 90 paintings and works on paper, as well as poetry and music. Take a listen to some of the songs T.C. Cannon covered and listened to in the studio. T. C. Cannon (1946–1978, Caddo/Kiowa), His Hair Flows Like a River, 1973-77. Acrylic and oil on canvas. Anne Aberbach and Family, Paradise Valley, Arizona. © 2017 Estate of T. C. Cannon. Photo by Thosh Collins. 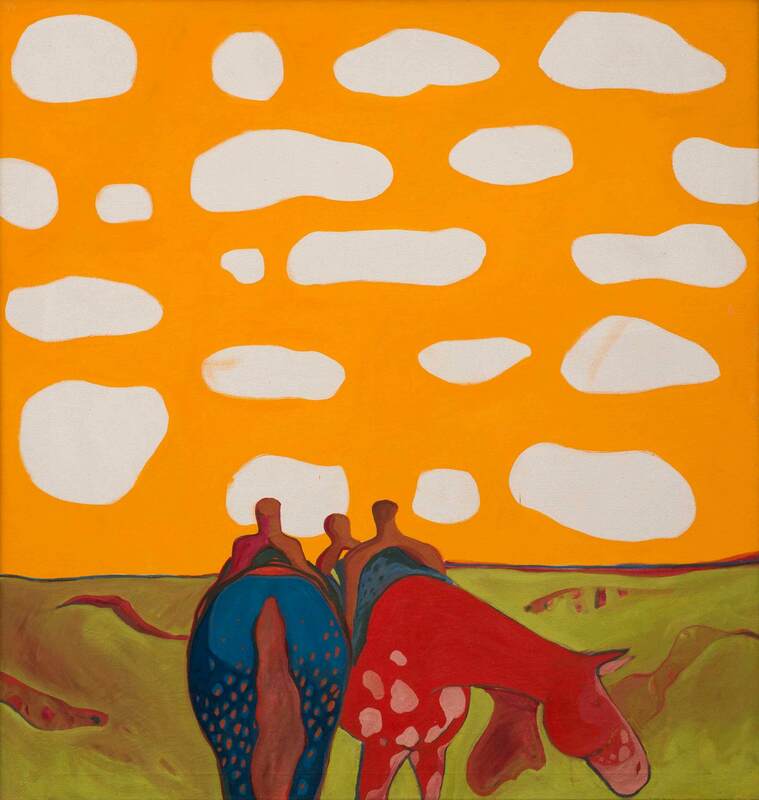 T. C. Cannon (1946–1978, Caddo/Kiowa), All the Tired Horses in the Sun, 1971–72. Oil on canvas. Tia Collection. © 2017 Estate of T. C. Cannon. 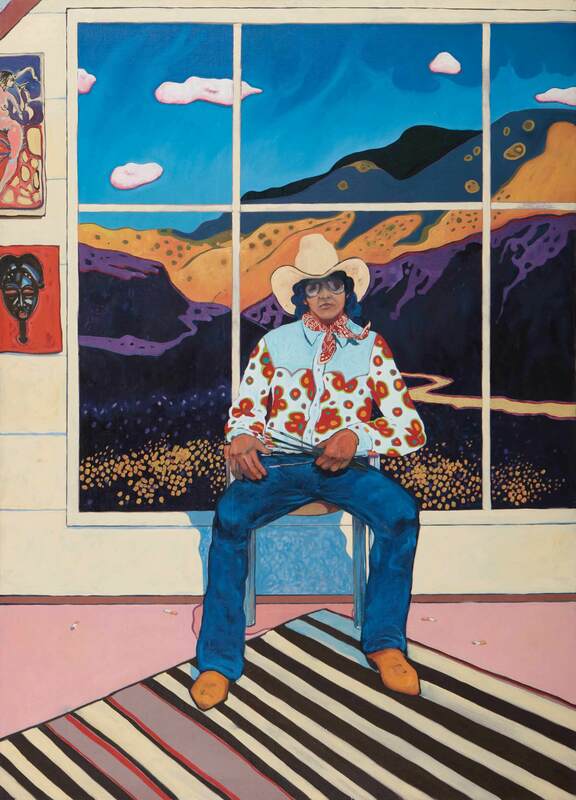 T. C. Cannon (1946–1978, Caddo/Kiowa), Self-Portrait in the Studio, 1975. Oil on canvas. Collection of Nancy and Richard Bloch. © 2017 Estate of T. C. Cannon. Photo by Addison Doty. 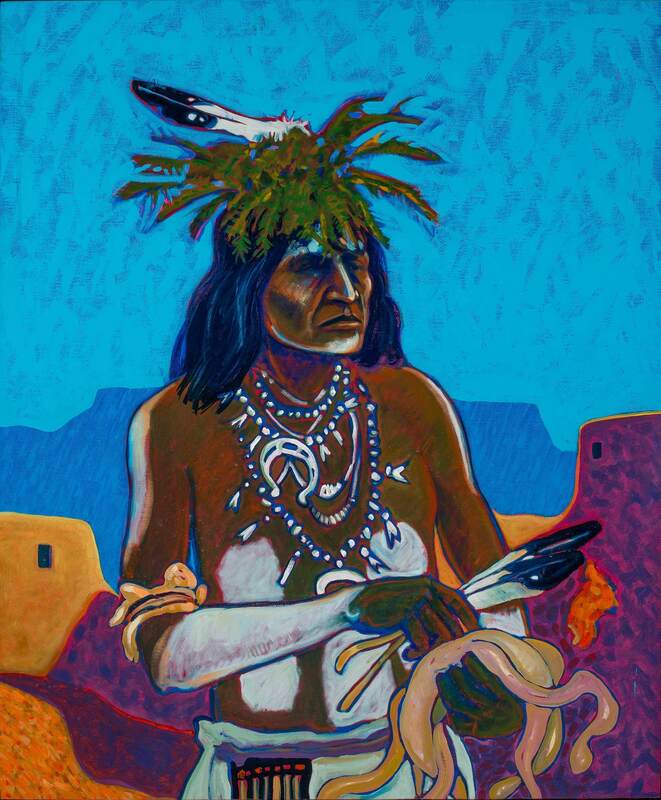 T. C. Cannon (1946–1978, Caddo/Kiowa), Small Catcher, 1973–78. Oil on canvas Collection of Christy Vezolles and Gil Waldman. © 2017 Estate of T. C. Cannon. Courtesy of the Heard Museum, Phoenix, Arizona. Photo by Craig Smith. 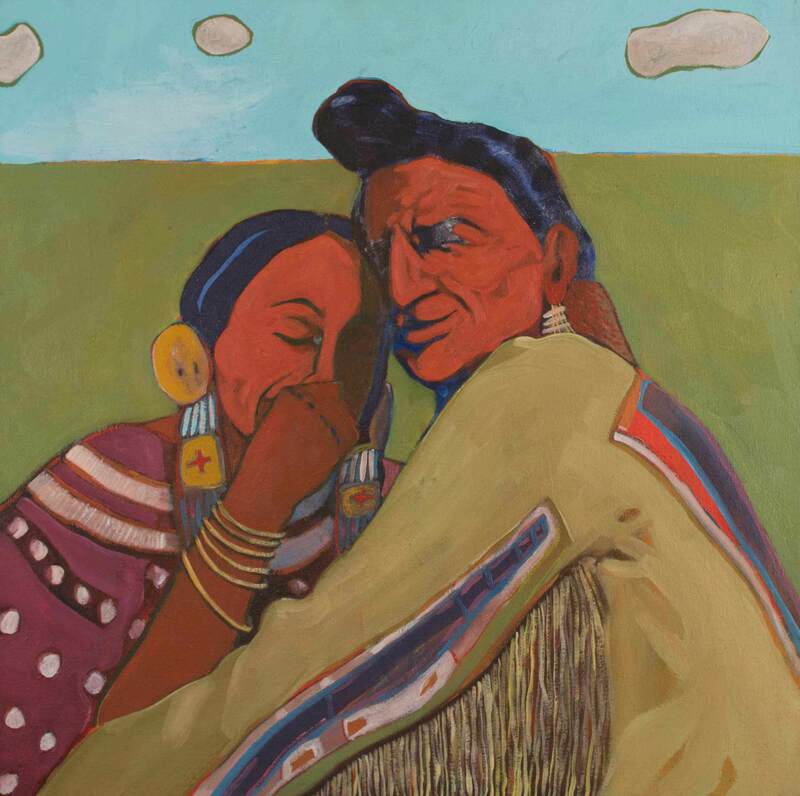 T. C. Cannon (1946–1978, Caddo/Kiowa), Favorite Wife, 1972. Oil on canvas. Private Collection. © 2017 Estate of T. C. Cannon. Photo by Carla Cain. 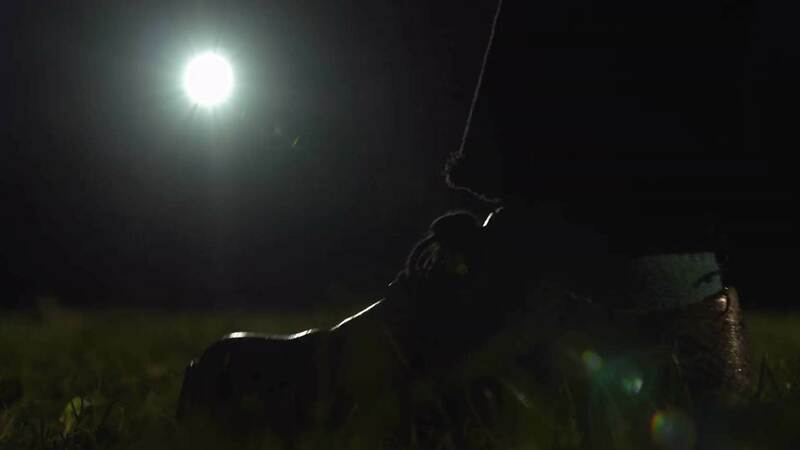 Singer-songwriter Samantha Crain composed and recorded this song in response to artist T.C. Cannon’s mural, Epochs in Plains History: Mother Earth, Father Sun, the Children Themselves. Her arrangement responds directly to the imagery and narrative elements in the painting, and soars in a similar manner as its source of inspiration. “One Who Stands in The Sun” is titled after Cannon’s Kiowa name in translation. Her tribute to him and his mural extends his legacy, which still blazes strongly among Native creatives and beyond. T.C. 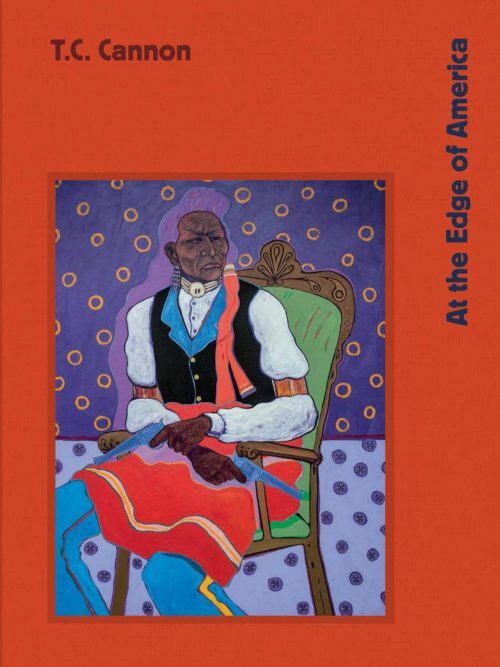 Cannon: At the Edge of America is organized by the Peabody Essex Museum. The exhibition was made possible in part by an award from the National Endowment for the Arts. Carolyn and Peter S. Lynch and The Lynch Foundation and Ellen and Steve Hoffman provided generous support. We also recognize the generosity of the East India Marine Associates of the Peabody Essex Museum. Visit the PEM Shop in person or online at pemshop.com to purchase the exhibition catalogue. Karen Kramer’s exhibitions have a way of breaking down boundaries and upending expectations. During the run of T.C. Cannon: At the Edge of America, music lovers will be hard pressed not to fall in love with Samantha Crain’s dreamy voice as it wafts across the galleries.